Anthony "Tony" Martinez, Jr. obituary. Carnes Funeral Home. Anthony "Tony" Martinez Jr., 71, passed away at home on the night of January 03, 2014, with his wife, Diane by his side. Tony was born in Chicago, IL on September 16, 1942, and grew up in Topeka, Kansas. He lived in New Orleans and Ponchatoula, LA beginning their family with his wife Diane, raising their two daughters in those between years. Later, Tony moved to the Houston area where he and his family have been residents of Sagemont, and Wood Meadow for most of these last 28 years. Tony was a proactive family man...a loving and dedicated father who always put his family first. Being a good provider he yet took time to give us, his wife, daughters, and grandchildren and Diane's nieces much quality time and attention, as well as keeping up with his extended family, of six siblings and aging parents and cousins, with regular phone calls and seasonal visits. Left to grieve their loss are... Tony's wife Diane Dumaine Martinez (from New Orleans, LA and Friendswood, TX); daughters Nicole with husband Carlos Alvarez and their children Valerie, Ocean, and Ethan, residing in Katy TX; Laura and her husband Jim Livesey in Houston. In Topeka, Kansas he is survived by his mother Nickey D. Martinez; sisters, Barbara Jordan, Trish Ashburn, Diana Smith and their families, brother Patrick Martinez and wife; sister Dr. Adele Kestner, DC, a resident of Plano, TX; cousin Phil Flowers and wife Sharon, resident of Bacliff TX. Also, several nieces and nephews, too many to name here, who will also miss him. 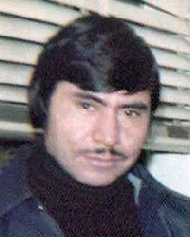 He is preceded in death by his father, Anthony Martinez Sr., and his brother Edward Martinez. A simple life celebration with family members and close friends participating in sharing memoirs was held at Carmel Temple, a non-denominational church in South Houston on Sat. Jan.11, 2014. While outdoors it was a bright, slightly breezy, cool crisp, very pleasant day; indoors was warm with love. Tony's family, wishes to especially thank their many family friends who made the day especially memorable in helping them to find a peaceful closure. 'We extend our sincere thanks to all the Heart To Heart Hospice personnel who made this difficult situation somewhat easier with their excellent personal and professional care, giving prompt attention to the needs of Tony and our immediate family alike. Our gratitude to caring friends and family local and from afar, who gave personal attention asking how they may help, and stuck around to do so... as well as to our local RWA, HBA Writers' Chapter, and all others who sent plants, flowers, cards, and various other gifts. We also sincerely appreciate you who attended Saturdays' event for taking precious time out from your busy routine. We extend a warm and grateful thank you to Carl with Carmel Temple in So. Houston, as well as to the church family and all at Gulf Haven, Seventh Day Adventist in Sagemont for their caring agape love. We also want to thank Carnes Funeral Home, in South Houston who has also given our family caring personal attention, while easing our practical needs in offering options with reasonable fees... which is more important than most funeral homes realize. We thank our friends and all for easing the confusion of such a time as this.